Heating Experts in Poplar Bluff, Jackson & Cape Girardeau, MO. At Aire Solutions, our balanced, whole-house approach allows us to provide personalized services to keep you and your family comfortable. 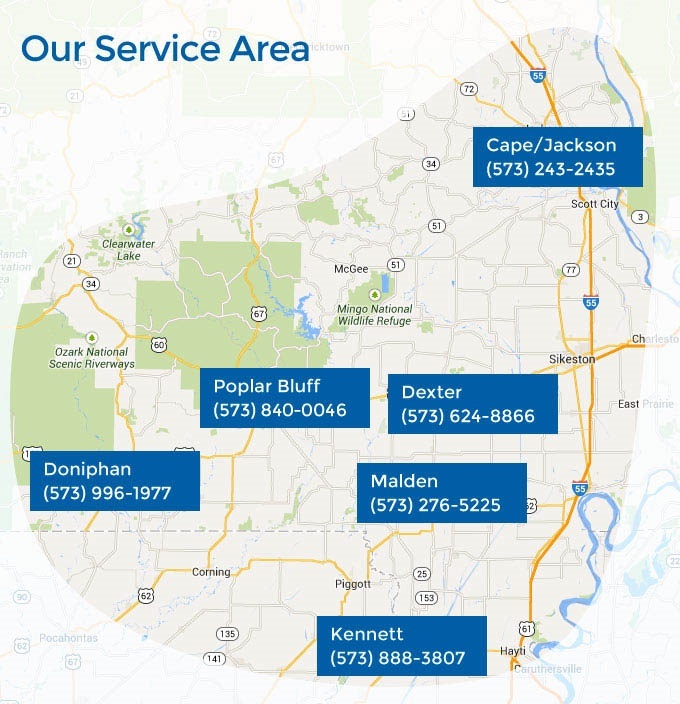 From the latest in HVAC and indoor air quality systems, to honest repair solutions, our expert technicians have served customers in Poplar Bluff, Jackson, Cape Girardeau, Dexter, and throughout Southeastern Missouri for over 35 years. Approach We focus on your comfort, safety, health & home energy savings. Guarantee We will always respect you, your home, your time & your hard-earned money. Technicians Our technicians are highly trained, prompt & professional. Technology A high-efficiency system uses less energy & cuts down on utility costs.